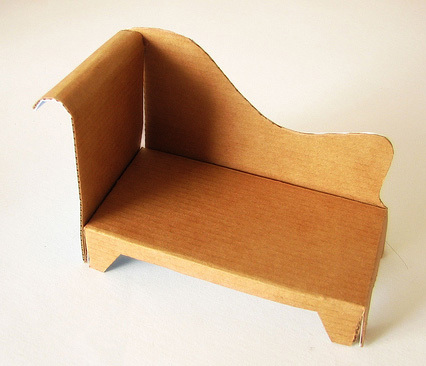 The smarty pants over at Evil Mad Scientist Laboratories have a great tutorial on how to make your own Cardboard Cat Chaise. How nice of them to share. Cardboard seems like a magnet for our cats, but those cardboard cat lounges you see in stores cost a pretty penny. While not as fancy, this DIY chaise is a practically free and you can upcycle cardboard you already have. Evil Mad has a pattern you can print out that includes an optional brace to make the chaise stronger. The post are good instructions and lots of photos.